Taiwan luxury yacht production is a preeminent leader in Asia and rank the 7th worldwide for 80' and larger mega-yachts in 2012. Currently, Taiwan has 35 yacht makers of whom 20 (63%) are from Kaohsiung and possession 80% of the annual production in Taiwan island-wide. 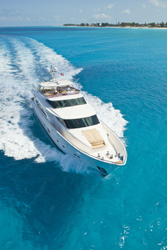 According to E-Composites' report, the global recreational yacht market has been held 7% annual growth during 2005-2012. 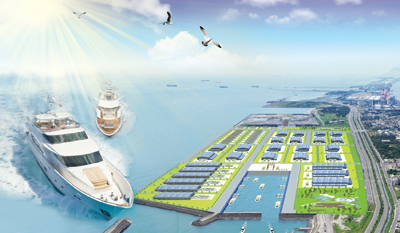 To promote our yacht competitiveness, the Economic Planning and Development of executive Yuan assigns yacht production industry as an emerging core industry in the plan of "The i-Taiwan 12 Projects" - Kaohsiung Port- City Reconstruction. 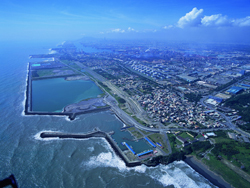 Kaohsiung Municipal authorities selected the Southern Stars Luxury Yachtbuilding Park as an integration yacht industrial park in 2010. The project is to integrate the yacht industries, the upper, middle and lower stream of the yacht industries and it's hardware accessories as a yacht industry clusters. By means of this project we will promote our yacht industry competitiveness. We expect that the Luxury Yachtbuilding Park will advantage to greater and value added mega-yacht production development. Via the project the Luxury Yacht ParkCreating the environmental friendly will win the success in yacht industry as "Asian Luxury Yacht Manufacturing Center." This Luxury Yachtbuilding Park project is planned for a 113.10 ha site at the southern edge of the Southern Stars Zone. Our project deploys five functional facilities, including the yacht production area, water test area, yacht hardware accessories production area, administrative area, and park area. This comprehensive design will conduct up and down stream yacht industry establishing yacht operation clusters which will promote our yacht manufacturing competitiveness. This project will be administered by Kaohsiung municipal authorities. Accordance to the Industrial Revitalization Act, the operations will outsource the Southern Stars Luxury Yacht Manufacturing Zone. Therefore, we can reduce public capital outlays for development by NT$5.19 billion and preserving 27.63 ha for public use at no cost. The first construction phase of the project will be complete by the end of December 2012. The second phase is scheduled at the end of December 2014. The developing benefits of future plans are, attracting NT$5 billion investments, yielding annual production value of NT$10 billion and creating more than 4,000 jobs opportunities.